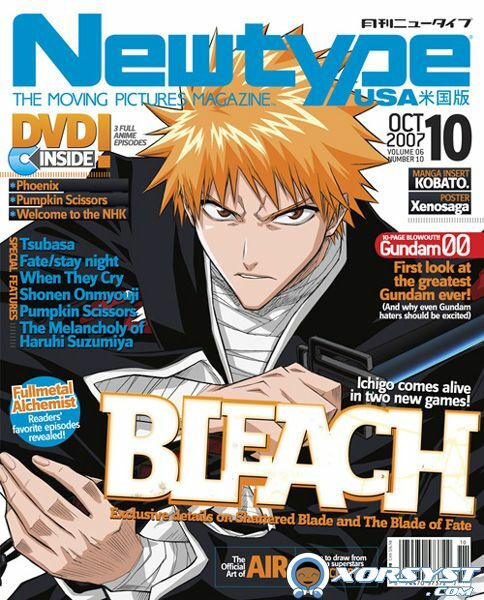 According to AnimeNewsNetwork.com, NewType USA has decided to cease publishing their magazine with their last issue being in February. According to ADV’s exchanges with their advertisers, ADV is planning a new magazine. I wonder what it could be about. I can see them going towards a broader approach to expand their reader base. Maybe they took a hint from Otaku USA. While I did enjoy reading NewType when I had the time, I do believe this is just an example of progress. In today’s time, things are becoming more and more digital. People can go anywhere on the net to find information about topics covered in NewType. While it is nice to sometimes cut the umbilical cord from the computer and sit on a couch to read a magazine, I hate the feeling of being disconnected form the world. Sigh, the times we live in.